Enjoy a two-colour style with gold and stainless steel with Citizen's unique blend of style and function. Solar powered technology means you will never need to change the battery for a stylish accessory that powers itself. 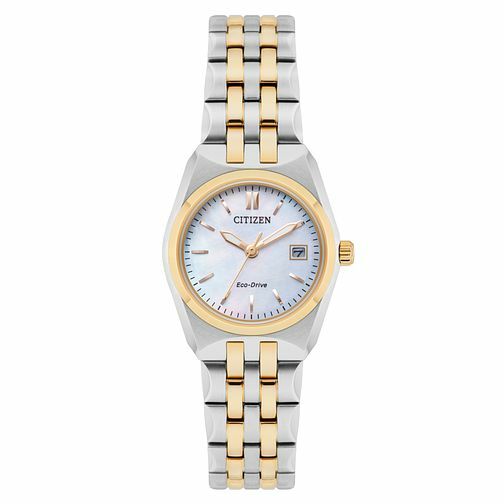 Citizen Corso Ladies' Two Colour Mother of Pearl Watch is rated 5.0 out of 5 by 1. Rated 5 out of 5 by Anonymous from Lovely watch Lovely watch, looks really good on and is good value for money.